Texas tried-and-true gets an urban refresh. 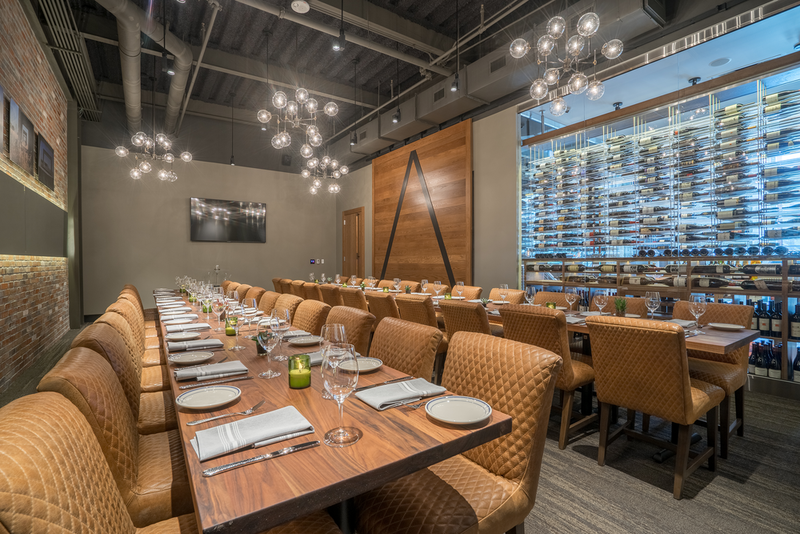 Hearty enough for the ranch hand and perfectly refined for the business man or woman, we’re taking the Texas dining experience to a new level. 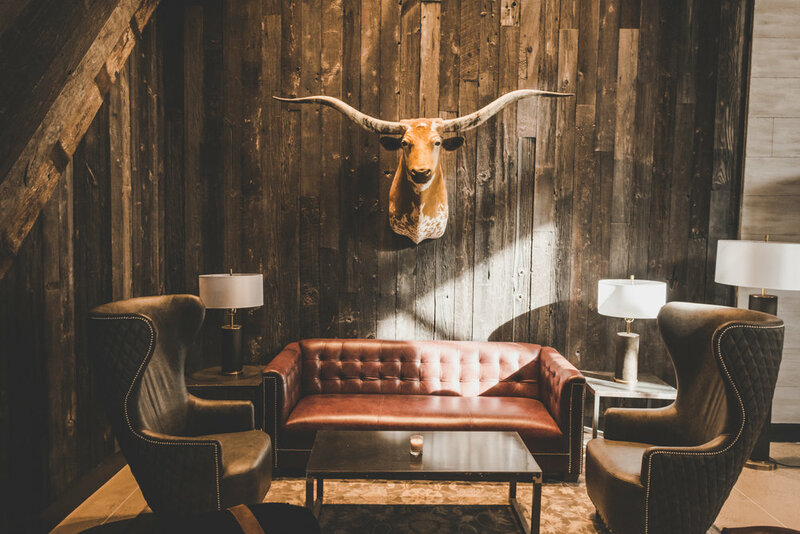 C’mon in today, put up your boots, kick up your heels and experience the true taste and hospitality of the Lone Star State. The large, modern barnyard door slides shut for privacy, revealing a spectacular view into the glass-enclosed wine room. Locally-sourced Texas Plated and Buffet menus available. 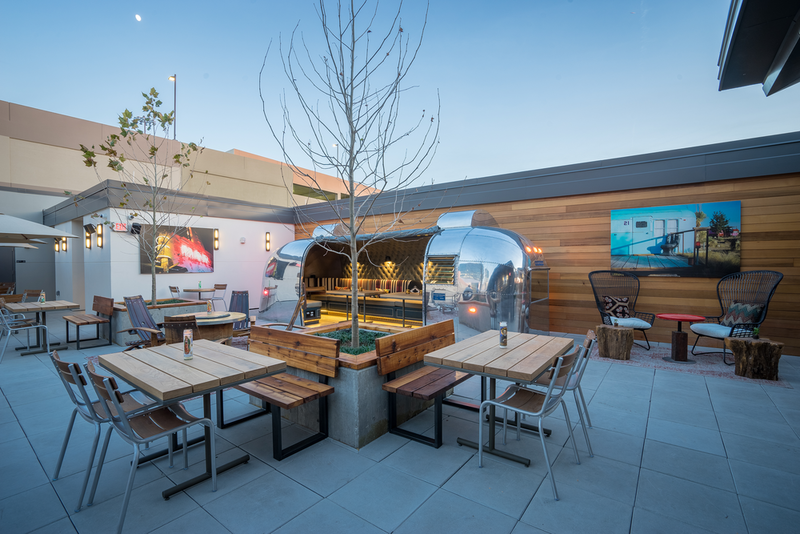 Located on the third-floor outdoor rooftop deck, this space was exclusively designed to make you feel relaxed. Put your feet up and get cozy by the fireplace while enjoying the best whiskey selection in town.